India’s Tata Consultancy Services (TCS) has been ranked third most-valued IT services brand globally in 2018-19, after Accenture and IBM, according to a report by Brand Finance. Four Indian IT services companies- TCS, Infosys, HCL and Wipro clinched spots in the top-10 global tally. Valued at USD 26.3 billion, Accenture took the title of the world’s most-valued IT services brand. SBI Card and Etihad Guest, the loyalty programme of Etihad Airways, have joined hands to launch a travel specific Visa credit card for members and Indian travellers. This is the first international co-brand partnership of SBI Card, the country’s second largest credit card issuer. The Reserve Bank of India (RBI) has approved the appointment of Ravneet Gill as the MD & CEO of private sector lender Yes Bank. It also said that Mr. Gill must join the bank before March 1, 2019. Mr.Gill is currently the India chief of foreign lender Deutsche Bank. If any private bank is appointing Directors or CEOs it should get approval from the Reserve Bank of India. The Gujarat Co-operative Milk Marketing Federation Limited (GCMMF) has launched Amul Camel Milk in selected markets of Gandhinagar, Ahmedabad and Kutch. The camel milk offers a wide range of benefits such as: Camel milk assists healthy bacteria growth in the gut making it easy to digest. Camel milk assists healthy bacteria growth in the gut making it easy to digest and it also improves gastrointestinal health and systemic immunity. Rich in Vitamin B1 (Thiamin) Camel Milk can provide 70% of the recommended daily value per serving. Camel Milk is rich in calcium which helps to build. Saina Nehwal entered the semifinals of the Indonesia Masters’ tournament after a straight-game win over Pornpawee Chochuwong of Thailand. Saina, won 21-7, 21-18 in the women’s singles quarterfinal match. 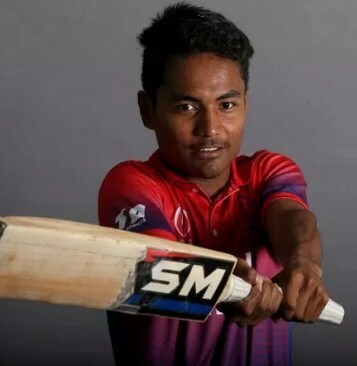 Surpassing master blaster Sachin Tendulkar’s record, Nepal teenage batsman Rohit Paudel has become the youngest cricketer to score a half-century in international cricket at the age of 16 years and 146 days. Earlier, Tendulkar was holding the record of the youngest half-centurion having played an innings of 59 in a Test against Pakistan aged 16 years and 213 days. Indo-Tibetan Border Police (ITBP) won the National Ice hockey tournament in Ladakh. The championship was organised by Ice Hockey Association of India. The ITBP defeated the Indian Army to lift the National Ice Hockey Championship.